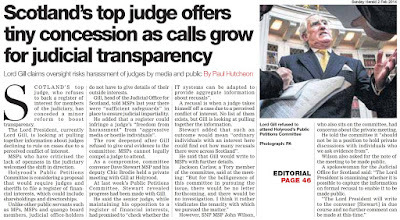 Expect more of these as Law Society of Scotland’s campaign to be sole regulator of legal services in Scotland begins. 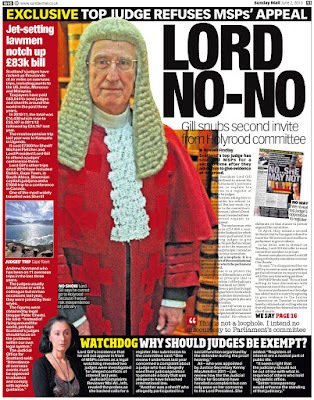 CHRISTMAS FOR CROOKED SCOTS LAWYERS is apparently just around the corner as the Law Society of Scotland today step up their ‘public offensive’ in the media to ensure the Scottish Government appoints the infamously anti-client lawyers-regulating-lawyers body as one of, or perhaps the sole ‘approved regulator’ of all legal related services in Scotland, after the Legal Services (Scotland) Bill clears the Scottish Parliament. 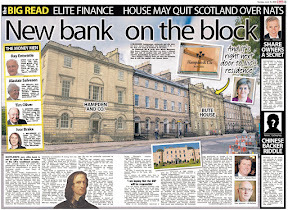 The move, if allowed to happen could, according to consumer sources ensure dark decades ahead for ever growing numbers of Scots consumers who end up being ripped off by their poorly regulated solicitors. 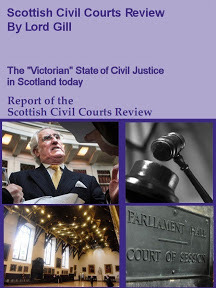 The Legal Services Bill proposes a system of licensed legal service providers, overseen by regulators approved and licensed by the Scottish Government, an idea which came about from the results of the Scottish Government’s consultation euphemistically titled : Wider choice and better protection: A consultation paper on the regulation of legal services in Scotland. 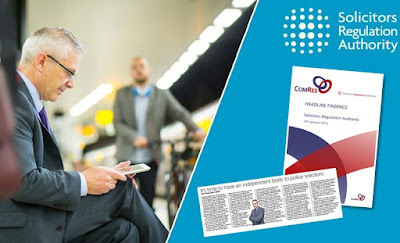 This consultation came in response to a ‘supercomplaint’ filed by consumer organisation Which? 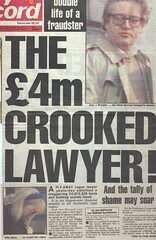 to the Office of Fair Trading in 2007, alleging lack of competition in Scotland’s solicitor only dominated legal services market. Applications for the position of “approved regulator” do not appear at this late stage of the Scottish Parliament’s consideration of the bill to include any bodies other than the Law Society of Scotland, which would spell double disaster for consumer protection and the now forlorn hopes of the Office of Fair Trading to inject a degree of consumer choice & competition in Scotland’s monopolistic legal services market, currently under the control of Law Society member law firms. Scottish Government decided against independent regulation of legal services market, preferring to hand it over to Law Society. 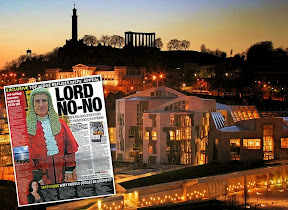 The Scottish Government and the Scottish Parliament have, however, brushed these concerns aside, and legal insiders close to the Justice Committee and the Scottish Government have indicated there is a will “to simply hand the matter over to the Law Society and let them get on with it”. 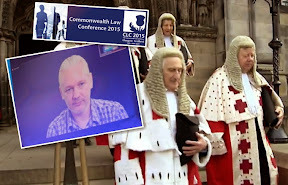 Scots consumers should be in no doubt at all the Legal Services Bill in its current form, tweaked & twittered by the Law Society beyond all recognition from the aims of the OFT & the Which? 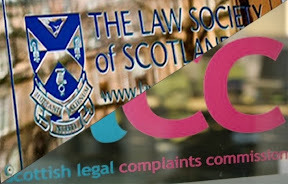 “supercomplaint”, will definitely not bring wider choice or any “better protection” from Scotland’s traditionally poorly regulated, poor quality & extortionately expensive legal services market. The Law Society of Scotland are now promoting their regulation skills & Guarantee Fund to gain approved status for expanded legal services market. 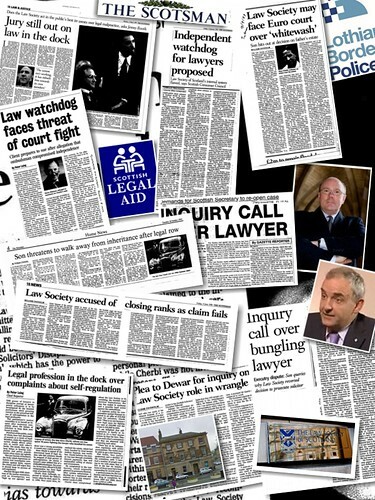 Undaunted by facts, history, and copious media coverage over the years of crooked lawyers ‘getting away with it’, the Law Society of Scotland are pressing ahead with their campaign to be confirmed by the Scottish Government as the approved regulator, touting their current regulatory regime as “rigorous”, and almost laughably describing the Scottish Solicitors Guarantee Fund as “one of the jewels in the crown of their system to protect those who have lost money because of dishonest solicitors”. 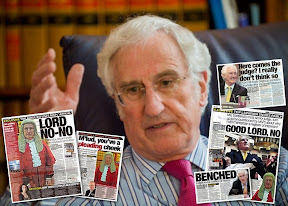 In reality, the Law Society’s deceptively titled Guarantee Fund does not live up to its title, preferring to throw out, stall, or kill off most claims made against dishonest solicitors. 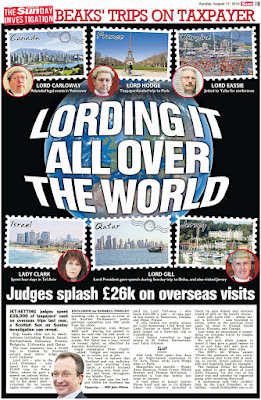 I reported more on the actual workings of the Guarantee Fund in March 2009, here : Law Society's 'Guarantee Fund' for clients of crooked lawyers revealed as multi million pound masterpiece of claims dodging corruption. 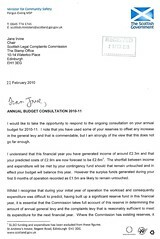 During my reporting on the Guarantee Fund last March, so many emails & cases came in regarding clients difficulties with the Guarantee Fund, the Law Society’s supposed ‘jewel in the crown’, I issued an ADVISORY for clients to protect their funds from the lack of protection offered by the Guarantee Fund itself. 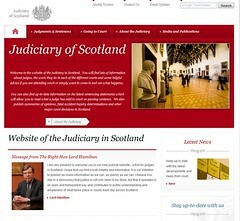 While the Guarantee Fund does all it can to avoid paying out compensation for clients money taken by dishonest solicitors, the fund also operates a policy of shifting the goal posts on whether claims qualify for its own Guarantee Fund requirements, or should be sent to the equally disingenuous “Master Policy”, the Law Society of Scotland’s Professional Indemnity Insurance scheme, linked by an independent report carried out by the University of Manchester’s Law School to suicides of clients who had attempted to claim damages against ‘crooked lawyers’. 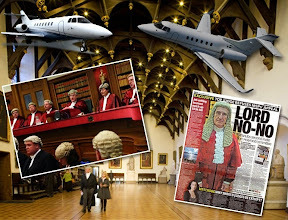 It will also come as no surprise to readers virtually all claims against the Master Policy are also delayed, shifted between it & the Guarantee Fund, or more likely closed down by the Law Society and its insurers, Royal Sun Alliance & Marsh. 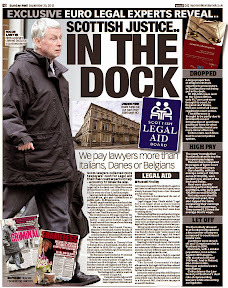 Report into Master Policy revealed Law Society concealed information on client suicides. The University of Manchester’s REPORT into the Master Policy found that claimants "described being intimidated, being forced to settle rather than try to run a hearing without legal support, and all felt that their claims’ outcomes were not fair. Some claimants felt that they should have received more support, and that this lack was further evidence of actors within the legal system being “against” Master Policy claimants. 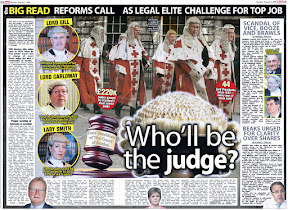 Judges were described as being “former solicitors”, members of the Law Society – and thus, against claimants. 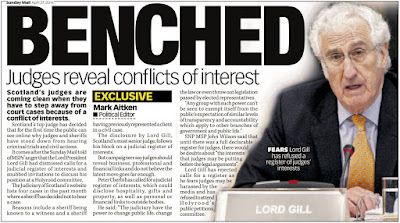 Some described judges and other judicial officers as being very hostile to party litigants." 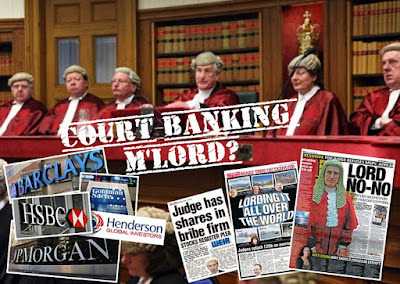 The Manchester University report concluded, “Thus, the Master Policy is essentially an insurance scheme intended to provide professional indemnity insurance coverage for solicitors.The purpose of the Master Policy, the simple answer is to allow solicitors to sleep at night. It provides professional indemnity insurance cover for firms." 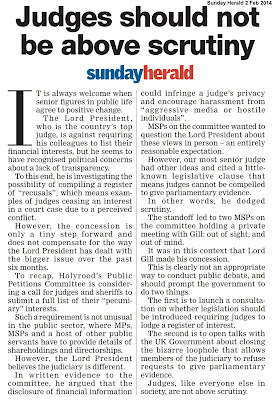 The Scottish Government have also chose the ‘appease the aggressor’ approach, caving into the Law Society on several key consumer protection planks of the Legal Services Bill, which now appears to be little more than a self congratulatory belated birthday present for the Law Society of Scotland. Nonsense. 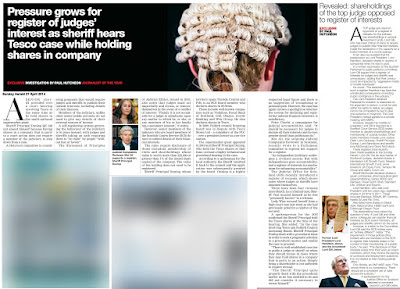 The Law Society’s regulation of legal services in Scotland to this date has always proved the public interest and certainly the client’s best interests remain the last issue to be considered when dealing with regulation. 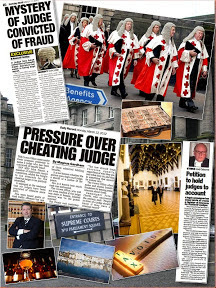 Christmas for Crooked Lawyers indeed .. if the Law Society of Scotland remain regulator of legal services …. 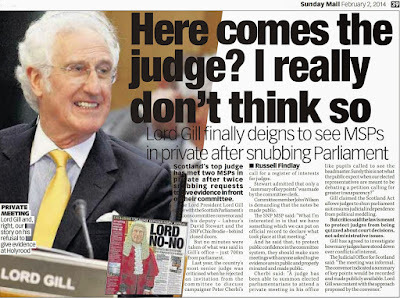 Ex Law Society Chief Executive Douglas Mill, now Director of Legal Practice, University of Glasgow. 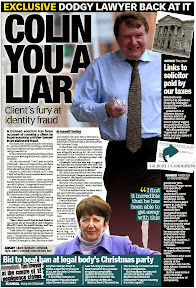 DOUGLAS MILL, the controversial former Law Society of Scotland Chief Executive who once ‘swore on his granny’s grave' he had not intervened in damages claims made by ruined clients against crooked lawyers, to the Law Society’s Master Policy and who effectively resigned in disgrace after a bitter, much publicised confrontation with John Swinney MSP during a Justice 2 Committee meeting in 2006, has, in his position as Director of Legal Practice at the University of Glasgow, wined & dined a significant number of Sheriffs, judges, lawyers, tutors & even the media, all at the taxpayer’s expense. 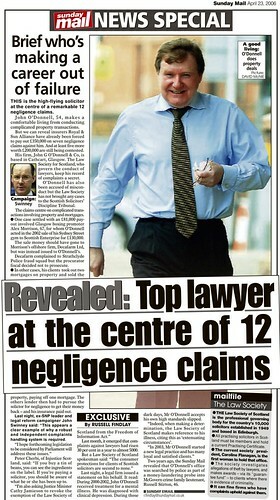 Mr Mill’s expenses claims figures obtained through Freedom of Information legislation show the well known former Law Society Chief Executive who now has his own business “Douglas Mill Consulting” and has occupied a number of consulting posts in other roles, raked up thousands of pounds of expenses claims to taxpayers for at least sixteen lunches with judges, lawyers & ‘fellow’ tutors. Granny pays for the Law Society : Douglas Mill bills taxpayers for his annual Law Society membership fee. 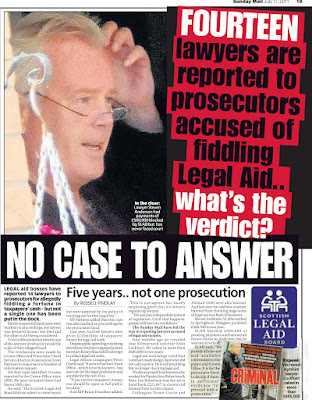 Staggeringly, Mr Mill also makes the public pick up the cost of his ‘annual retainer fee’ for the Law Society of Scotland, this despite the fact the entire country is facing the worst public service cuts in its entire history, with even the University of Glasgow recently announcing it is facing a £35m budget shortfall unless it takes action to cut costs. 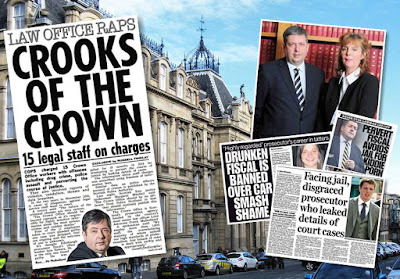 While Mr Mill’s luxurious expenses claims figures make stark reading in recession hit Scotland, Glasgow University refused to disclose details of Mr Mill’s salary (thought to be £80,000 or more), and even threatened “Diary of Injustice” with legal action if any of the disclosures of Mr Mill’s expenses claims released by the University were published. 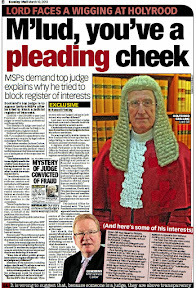 Glasgow University took the view that disclosure of such personal data would breach Data Protection Principles of the DPA where it claimed “The release of the salary information on an individual basis will undermine the expectation of the individual that his/her personal data would not be released.” – this despite Mr Mill’s salary being paid for by UK taxpayers. 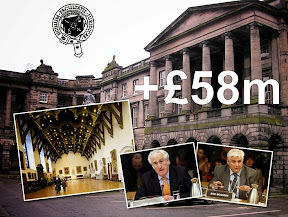 Glasgow University founded upon their refusal to disclose Mr Mill’s publicly funded salary by referring to an English FOI case involving the University of Cambridge (30 July 2007). 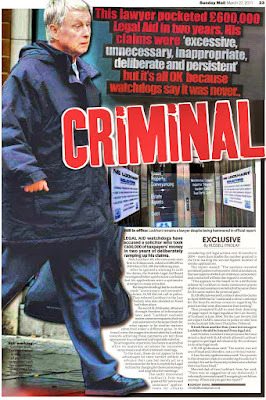 Sir Fred Goodwin, brought the RBS & UK Treasury to near collapse, was defended by Douglas Mill. 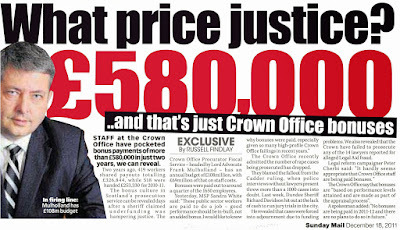 It is also worth noting while Douglas Mill’s expenses on dinners put First Minister’s Alex Salmond’s food allowance claims to shame, the cuts which are affecting every facet of public life in the UK, from health to employment, from life to death, are principally caused by the massive multi billion pound taxpayer bailouts of banks such as the Royal Bank of Scotland, whose former Chief Executive Sir Fred Goodwin was personally defended by Mr Mill several times despite Goodwin leading the RBS and the entire country to near financial collapse. 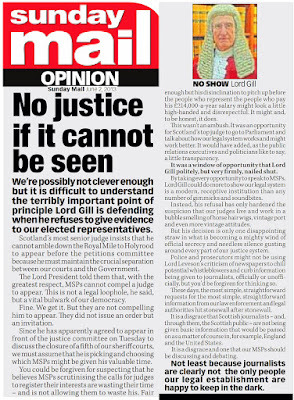 For those who may wish to refresh their memories over Douglas Mill’s confrontation with the Cabinet Secretary for Finance, John Swinney, read this : Law Society boss Mill lied to Swinney, Parliament as secret memos reveal policy of intervention & obstruction on claims, complaints. Douglas Mill’s own memo depicted interference in claims against crooked lawyers. 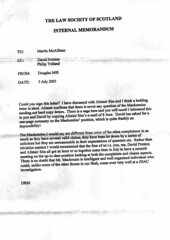 While Douglas Mill famously said “I will go on oath and on record, and I will swear on my granny's grave, that never once have I, any member of my staff or any office-bearer dabbled in a claim”, a claim Mr Mill came to regret after Mr Swinney presented the Justice 2 Committee with a copy of one of Mr Mill’s own memos showing Mill & the Law Society clearly did dabble in claims, it turns out that not only could granny not swear by the Law Society, everyone’s taxes and their grannies are now helping to pay for Mr Mill’s lunches with judges … tough times indeed, and little wonder that Glasgow University who themselves are having to make cuts, don't want the details of Mr Mill’s expenses claims leaking out to the public. 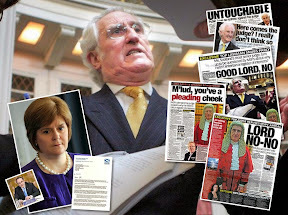 Glasgow University’s refusal to disclose Douglas Mill’s publicly funded salary, and the terms of their legal threat against publication of their disclosure of Mr Mill’s expenses claims has been passed to Kevin Dunion, Scotland’s Information Commissioner for further investigation. Scottish Government Housing & Communities Minister Alex Neil MSP. A WAR OF WORDS has broken out between a Scottish Government Minister & the Public Services Ombudsman over the performance of the Scottish Public Services Ombudsman, the independent body which investigates complaints made about public services in Scotland after Housing & Communities Minister Alex Neil MSP spoke in support of eight petitions lodged by constituents at Tuesday’s Petitions Committee hearing at the Scottish Parliament calling for the Scottish Government to commission an independent review of the SPSO. After a discussion on Dr Rahman’s petition, a transcript of which can be viewed at the Scottish Parliament’s website HERE, and noting the comments expressed regarding Dr Rahman by Committee member John Wilson MSP, the Committee agreed to write to the Scottish Public Services Ombudsman, Scottish Parliamentary Corporate Body, Scottish Government, and the Auditor General for Scotland seeking responses to points raised in the petition and during the discussion. After hearing all the points, the Petitions Committee agreed to write to the Scottish Public Services Ombudsman, Scottish Parliamentary Corporate Body, Scottish Government, and the Auditor General for Scotland seeking responses to points raised in these petitions and during the discussion. Well .. not a bad days work for all concerned. 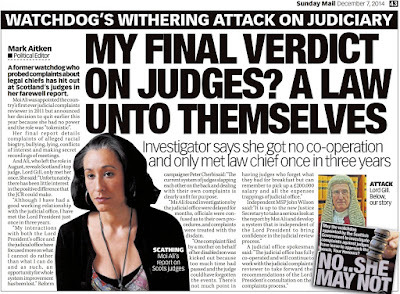 However, if I could recommend another target for some Scottish Minister to attend the Petitions Committee and call for a review, that would be obviously the Law Society of Scotland, who the Scottish Legal Complaints Commission revealed last year in a report on the Master Insurance Policy, have caused clients to commit suicide. 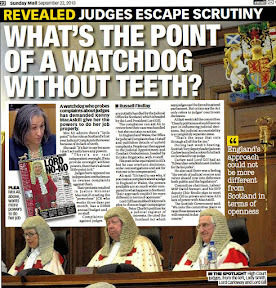 The Law Society of Scotland covered up the deaths, and the SLCC has done nothing about the deaths or the problems which led to the suicides one year after their report was produced. 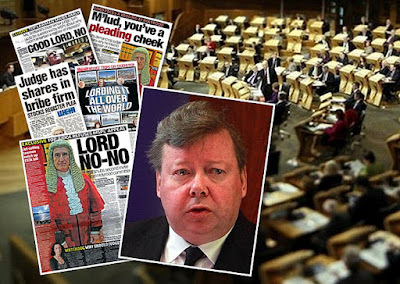 If the Scottish Parliament doesn't stand on its feet and do something about that, well then … your thoughts would be most appreciated …. 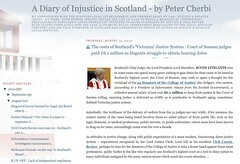 You can read more about the Law Society’s policy on client suicides and the Scottish Legal Complaints Commission’s do nothing approach after discovering it, here : Suicides, illness, broken families and ruined clients reveal true cost of Law Society's Master Policy which 'allows solicitors to sleep at night'. 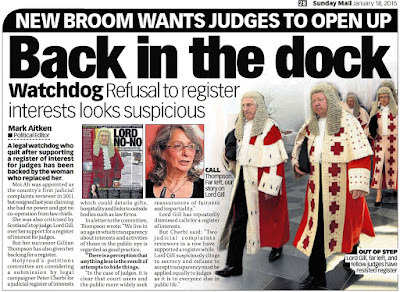 Now if only some other elements of Scottish legal society could gain such attention from the Petitions Committee, instead of having the situation where the Law Society of Scotland come in and order the Petitions Committee to close petitions which may affect its policy of protecting the truly guilty among us …. Holyrood’s Petitions Committee heard latest on McKenzie Friends Petition. 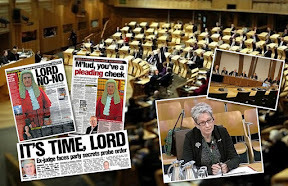 THE PETITIONS COMMITTEE of the Scottish Parliament have said they will not close Petition 1247 – McKenzie Friends for Scotland until MSPs have seen and had a chance to comment on the proposals from the Sheriff Court Rules Council to implement McKenzie Friends (otherwise known as lay assistants) in Scotland’s Sheriff Courts, following on from the Lord President's Act of Sederunt, passed earlier in the summer which introduced McKenzie Friends to Scotland’s Court of Session in mid June, some 40 years after McKenzie Friends were first introduced to the English court system. 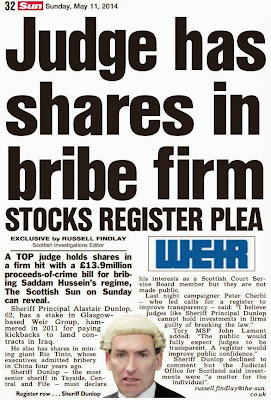 Nigel Don MSP (SNP) said Petition should not be closed until Parliament scrutinises Sheriff Court plans. 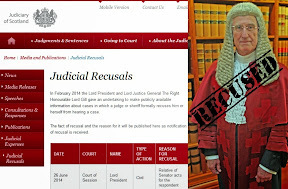 During the Petitions Committee’s Tuesday session, Committee member Nigel Don said progress was being made ‘very fast’ and expressed his gratitude to the Lord President for introducing McKenzie Friends to Scotland’s Court of Session. 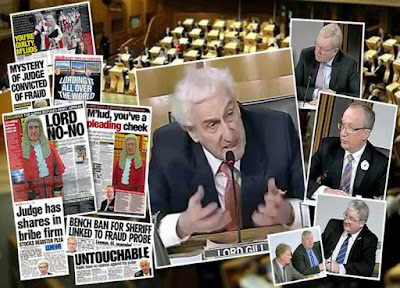 Mr Don went onto say the ”Sheriff Court Rules are being dealt with but they seem to have gone a little bit slower” and said he believed Petition 1247 should not be closed until the rules for the use of McKenzie Friends in Scotland’s Sheriff Courts are “in the public domain” and the Petitions Committee has a chance to see & comment on the Sheriff Court Rules Council proposals. 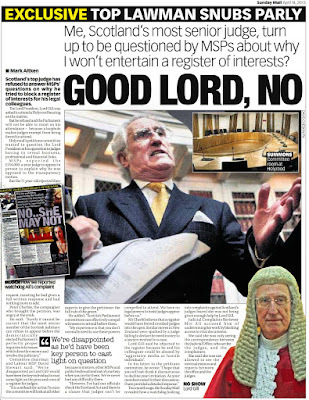 Mr Don’s comments came after the Petitioner, Perth based law reform campaigner Mr Stewart MacKenzie had written to the Petitions Committee urging members to contact the Sheriff Court Rules Council for a clearer timescale for the completion of the implementation of McKenzie Friends in Scotland’s Sheriff Courts, bearing in mind the Court of Session and the Lord President had managed to complete the process in around five weeks. Petitions Committee Convener Rhona Brankin MSP concluded the discussion on Petition 1247, by continuing the petition until the Committee receive more information. While party litigants in Scotland’s Court of Session have been able to apply for a McKenzie Friend to assist their case since mid June of this year, party litigants in Scotland’s Sheriff Courts, where most hearings in which McKenzie Friends will have a ‘helping hand’ take place, will have to wait until the Sheriff Court Rules Council formalise their plans for rules governing the use of lay assistants in Sheriff Courts before being able to apply to a Sheriff for lay assistance. 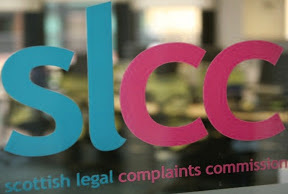 Scottish Legal Complaints Commission seeks new Chief Executive. 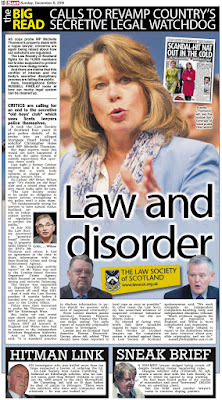 ALTHOUGH the Scottish Legal Complaints Commission has offered little in the way of a believable explanation for the abrupt resignation earlier this year of its former Chief Executive, Eileen Masterman after less than twelve months in her post, the SLCC is again engaged in a recruitment process for a new Chief Executive Officer, offering anyone willing to try and bring the hapless scandal hit law complaints quango into shape a whopping salary of around £1,350 a week, equating to around £70,000 per annum with a pension thrown in. 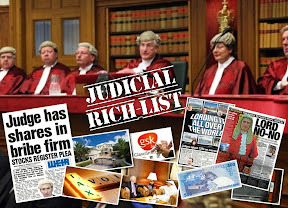 Salaries may well be high in the world of regulators where a ‘feathered nest’ is allegedly ‘crucial to attracting the most talented people for the job at hand’, however it remains a fact the thousands of clients each year who are forced to complain to the Scottish Legal Complaints Commission, face little in the way of financial redress for the vast sums of clients funds embezzled by members of Scotland’s legal profession as it turns out the SLCC itself can only make awards of up to £20,000 “for any loss, inconvenience or distress resulting from inadequate professional service”. 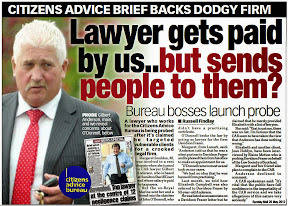 It will be hardly a surprise to most readers hardly any compensation has yet been paid out to victims of ‘crooked lawyers’ – this despite many Scots clients losing much more than £20,000 to some of the worst serial offenders of Scotland’s legal profession who continue to practice law. 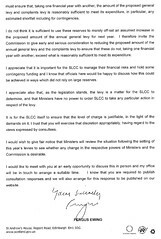 The SLCC also state on their website : “We can also require the relevant legal practices and practitioners to reduce fees, re-do work and rectify any mistakes at their own expense. 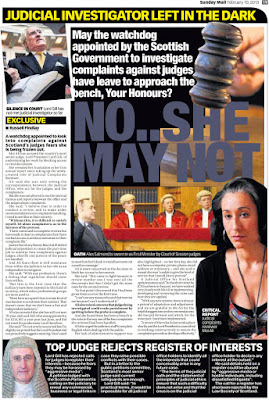 If we feel the practitioner shows a lack of competence relating to any area of the law or legal practice, we can report the matter to the relevant professional body.” However, and proving again its claim to be an effective regulator is well, rather ridiculous, the SLCC has admitted in an FOI request it does not have any power to recommend discipline or prosecution of a solicitor even after it has investigated a complaint. 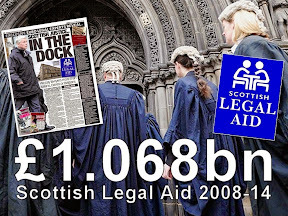 The Scottish Legal Complaints Commission (SLCC) was set up under the Legal Profession and Legal Aid (Scotland) Act 2007 and opened on 1 October 2008. 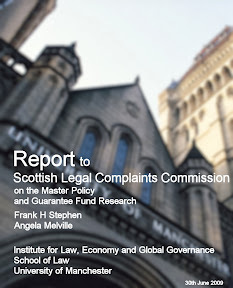 Providing a single point of contact for all complaints about legal practitioners operating in Scotland, the SLCC investigates and resolves complaints about inadequate professional service; refers conduct complaints to the relevant professional body and has oversight of complaint handling across the profession. 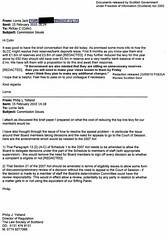 The Commission is a neutral body operating independently of the legal profession and independently of Government and is considered a hybrid organisation with public and private attributes. We are seeking to appoint the Chief Executive Officer to provide operational and strategic leadership to the SLCC whilst working closely with and supporting the Commission Members. As CEO you will lead and motivate staff to provide consistently good service. Developing and maintaining relationships with relevant external bodies; particularly the Scottish legal profession and the Scottish Government. As the organisation's Accountable officer, you will implement, monitor and sustain rigorous financial processes for the budget, ensuring that financial accountability and control is evident at all times. This is a key position for an experienced business leader with strong financial and operational capabilities. The role requires exceptional communication skills with the ability to influence at every level with the necessary energy to act as a true driving force within the organisation. For an informal conversation or more information, please contact Bonnie Clarke at Hays Executive on 0131 226 7972. Applications must be received by: 17:00 on 10/09/2010. Scottish Parliament’s Public Petitions Committee to consider education of legal & consumer rights in schools. A PUBLIC PETITION promoting education of justice, legal & consumer rights in Scotland’s secondary schools has been lodged at the Scottish Parliament by Perth based law reform campaigner Mr Stewart MacKenzie, whose successful McKenzie Friends Petition 1247 brought forward the system of lay assistance used in courts around the world since 1970 to our very own Scots legal system this year after a year long campaign at Holyrood, which I reported on in more detail HERE. Petition 1354 calls for the education of justice, legal & consumer rights to Scots children. 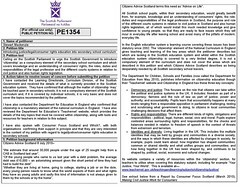 With children in England & Wales already ahead of their Scots counterparts in receiving education of legal & consumer rights, Mr MacKenzie’s petition calls “on the Scottish Parliament to urge the Scottish Government to introduce ‘citizenship’ as a compulsory element of the secondary school curriculum and which covers knowledge and an understanding of consumers' rights, the roles, duties and responsibilities of the legal profession and the different courts systems in relation to civil justice and also human rights legislation”. 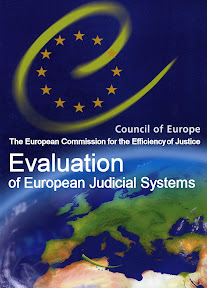 Democracy and justice — This focuses on the role that citizens can take within the political and justice systems in the UK. It includes: freedom as part of a democracy; fairness and the rule of law as part of justice; power and authority; and accountability. Pupils learn that accountability happens at many levels ranging from a responsible opposition in parliament challenging, testing and scrutinising what Government is doing, to citizens in local communities challenging decisions that affect them. Rights and responsibilities — There are different kinds of rights, obligations and responsibilities — political, legal, human, social, civic and moral. Pupils explore contested areas surrounding rights and responsibilities, for the checks and balances needed in relation to freedom of speech in the context of threats from extremism and terrorism. The Scottish Government introduced the recent Curriculum for Excellence in Scotland, although omitted legal & consumer rights. The Scottish Government’s recent “Curriculum for Excellence”, more about which can be viewed at the Engage for Education website apparently does not include anywhere near the same level of education on justice, legal & consumer affairs for Scots schoolchildren, leaving the feeling Scots kids are being left in the dark while their English counterparts receive a much wider, more responsible view of the world around them. Consumer Focus Scotland also advocate a public legal education strategy. Consumer Focus Scotland said in their report “If consumers are to be able to access legal services, and make informed choices about which services best meet their needs, they need to be able to a) recognise they have a problem, b) recognise the problem has a potential legal remedy, & c) identify a course of action to pursue that remedy, be it taking action themselves, or seeking help from an appropriate source” – issues which could be greatly helped by a compulsory course in Scottish schools for pupils on justice, legal & consumer rights subjects. 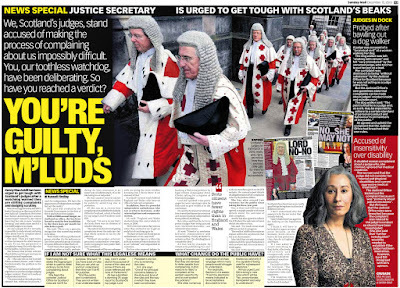 Educating our children on issues of justice, legal & consumer rights is obviously an essential part of growing up, and since the rest of the UK has long recognised this, it is surely time for Scotland to follow suit. 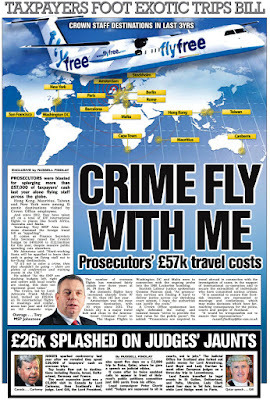 After all, we have regular announcements of Scottish Government Ministers attempting to cut crime & break the cycle of crime many people find themselves trapped in by providing offenders with more of the skills they need to live positive lives, so why not go a step further and teach Scots schoolchildren about justice, the legal system & consumer rights at school level .. it may do a lot more good for our nation’s future ….